Since Wednesday, I’ve had two good nights of ski-patrol ski-and-toboggan (S&T) training during which a few major changes have clicked, and have actually started to feel less like crazy drills and more like muscle memory. I’ve also had a few relaxing nights with friends, and have settled into what initially seemed like an impossibly chaotic schedule, which has in turn allowed me to chill out a bit and let the training process be what it’s going to be. On Thursday, I carpooled to and from Whitetail with one of the instructors I’ve been working with fairly often. 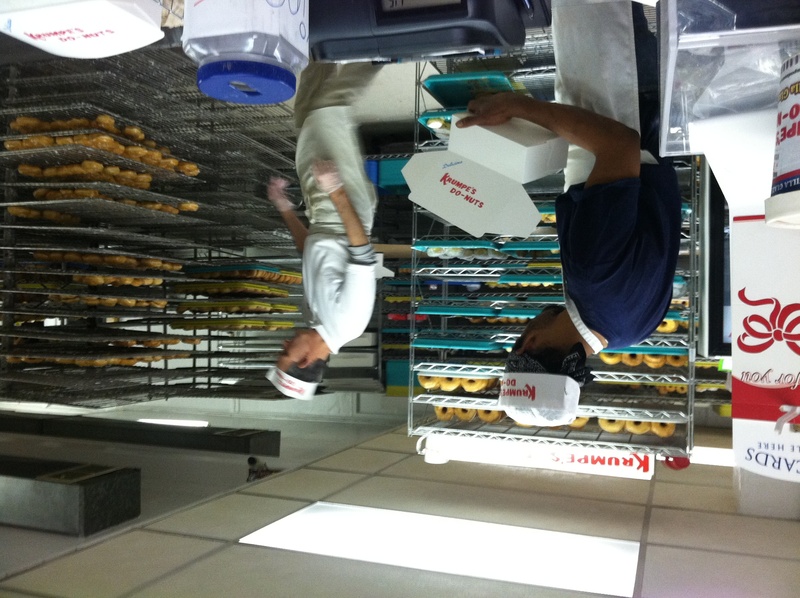 On the way back to D.C., I joined him and his family at Krumpe’s, a cult-favorite doughnut place down a back alley just off I-270 in Hagerstown, Md. The doughnuts are sold throughout the Hagerstown area, but true addicts (which I might officially be now) know to go to the store late at night to get the doughnuts fresh from the fryers. Usually, I find doughnuts too spongy to be satisfying. But the chocolate-cake doughnuts from Krumpe’s are like doughnuts that want to be brownies when they grow up. Is there a happier state of being than munching on one of those sweet, dense treats on the way home from a good night of skiing while listening to Bob Marley croon that everything’s going to be all right? If so, I’m not sure I want to know about it. 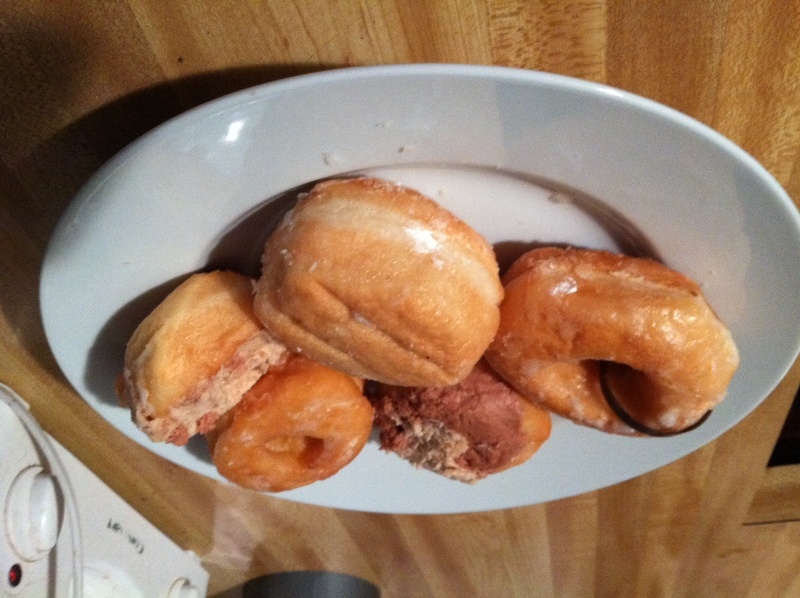 A plate of Krumpe's doughnuts for Steve=my attempt to win back brownie points. I love your Han Solo deep cut there in the first paragraph. Win.